Great cul de sac Location on golf course! 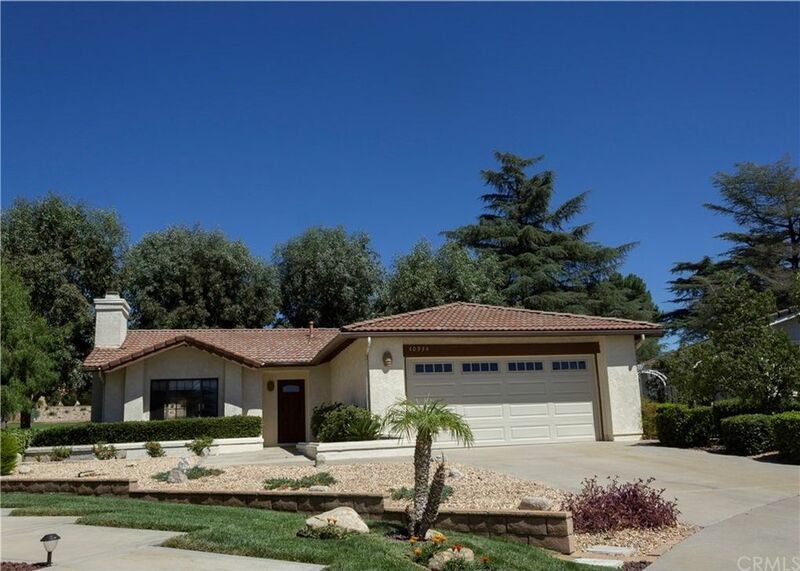 lush landscaping, and incredible views of golf course and San Gorgonio Mountains. The Highland Springs Country Club (55+ gated community) features free golf for residents, no mello roos, pool & spa, clubhouse, and tennis courts all just steps away from your home. This turnkey home was updated just one year ago with new carpet, paint, and real hardwood bamboo flooring. Super bright and cheery living area as you enter with a white brick fireplace, vaulted ceilings, and added windows with views out to the golf course. French doors in the dining area lead out to your backyard retreat. The interior also features tile floors in the kitchen, bathrooms, and separate laundry room. Near new heating & air. Master Suite includes a large bath tub, separate walk-in shower, walk-in closet, and a sliding glass door leading out to the fenced golf course patio. Rear yard consists of patios shaded by mature eucalyptus trees with additional well maintained and irrigated landscaping. One patio and yard area is fenced with wrought iron and would be a great space for pets.